Please call 01785 815555 and book with the receptionist. 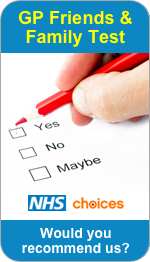 You can cancel an appointment by calling the surgery and selecting Option 1, please ensure that you clearly leave your name, date of birth, date and time of the appointment. This option is available 24 hours a day, 7 days a week. Whenever you contact the surgery by phone or in person at the desk we will be asked whether you need a ROUTINE book ahead appointment or need our same day URGENT service. These appointments are available for internet booking. These appointments will be released at 10.00am, only Urgent on the Day Appointments will be released at 8.00am. You will be offered the next available routine appointment with any doctor or you may book to see a specific doctor if you prefer to wait longer for his/her availability. Please use this service if you wish to discuss routine issues or wish to see a specific doctor. If you have an urgent medical problem, we will ask you if you require a short 5 minute doctor telephone advice slot or if you would prefer to come to the surgery for a 10 minute face-to-face appointment. This same day service is intended for urgent care only - either an urgent appointment or urgent telephone advice. If you are housebound please inform the receptionist at the begining of your call. Further information can be found on our Urgent Problems and Out of Hours page. We are now able to send appointment reminders and confirmations via SMS text message direct to your mobile phone. In order for use to do this we will need your signed consent. consent forms are available from reception. If you have made an appointment we will then send you a confirmation message straight away. If you have booked in advance a reminder will then be sent to you the day before your appointment. We may also send you reminders of closures or when your annual review is due or any other special events that are being held at the surgery. Please arrive a little before your booked time. A late arriving patient will delay the remainder of the surgery for all remaining patients - for this reason we ask patients arriving more than a few minutes late to rebook for another time. 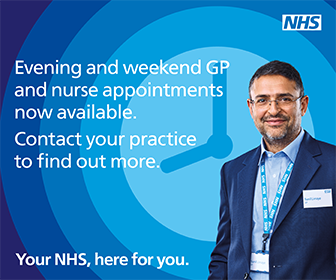 However, please note that the majority of our Practice Nurse appointments should be booked in advance by phone or in person, so that we can allocate sufficient time for each procedure. We can now offer a few appointments via online booking but please refer to the attached sheet as a guide as to what can be booked via the internet. There are also details of what needs to be booked via the Surgery, for clarity. If an appointment is booked incorrectly it will be cancelled and you will be asked to rebook accordingly. If you are late for an appointment, you may be asked to re-book or wait until the end of surgery to be seen. The doctors try to keep to time but this is not always possible due to the complexity of some conditions. We would request your patience in such circumstances. We no longer offer same day availability for routine matters. By Telephone: Please call us on 01785 815555 and tell the receptionist. In Person: Call into the surgery and let the receptionist know in person.